The FIM guys: on task! 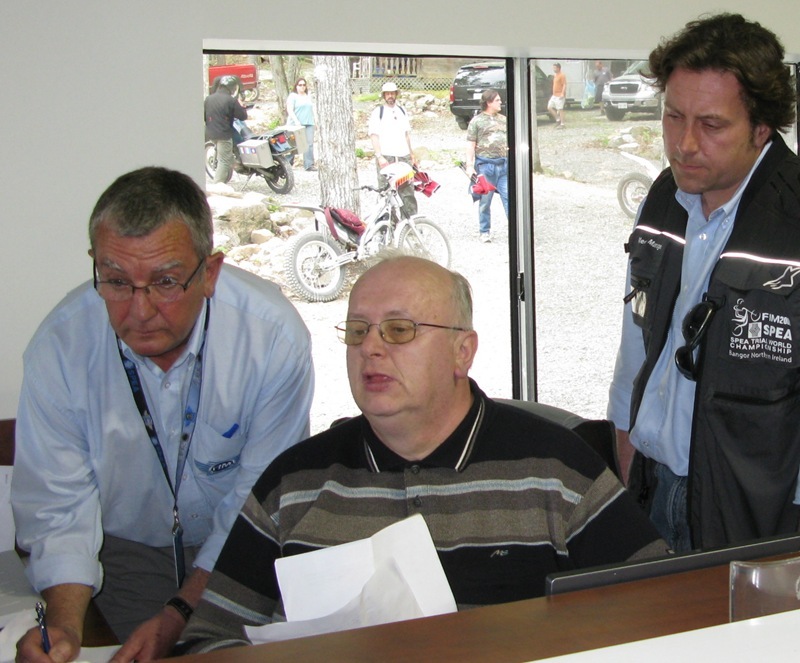 When the event began each day, these gentlemen from the FIM (International Motorcycling Federation) were serious and focused. L to R: Jean-Marc Crumière, Charly Demathieu, Jim Blackburn.